Since starting this column and inviting contact, I’ve become aware of just how much music is being made in the world. It’s really a lot. Now I cannot possibly cover it all, but three recent arrivals deserve a mention - Montreal's Elephant Stone, multi-instrumentalist Jacob Morris, and Leeds post-rockers Mahogany Hand Glider. Firstly, Elephant Stone, a Montreal-based psych rock band headed by a sought-after sitar player (RIP Ravi Shankar, by the way) and general hard working musician named Rishi Dhir. Their self-titled debut album is coming out next year but in the meantime there’s a single called 'Heavy Moon'. It has a pleasing throb to it, as I’m sure you’ll agree. From the Athens, Georgia scene sparked by REM, Jacob Morris has played with the late Vic Chesnutt, Madeline, and Patterson Hood to name but a few. A multi-instrumentalist also producing a debut album, entitled 'Moths', with a nice sense of melody and a smoky mix that grates just enough to offset the softness of the tunes. I like the gloomier songs on the album like 'Spider' and 'Lost Twilight', and download another track 'Wet Cigarette' below. A cool, post-prandial chill-out album. I’m a sucker for some instrumental post/math rock. 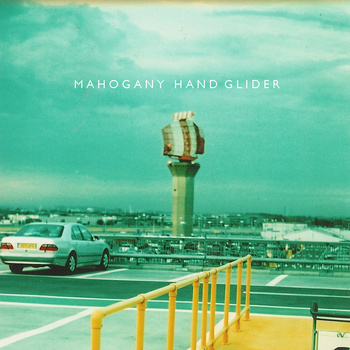 So Destroy All Records, apparently Leeds’ newest independent record label, knew exactly what they were doing in sending me their debut release - the EP 'Naked Huf' from first signing Mahogany Hand Glider. They thought it would be "right up my street", and so it is. Brave first signing, I say.